Buying and selling property in Spain often means having to turn your hand to a wide range of things. Each of them uses terms and abbreviations that can be difficult to understand. 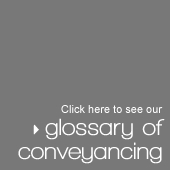 We hope this glossary will give some plain English explanations to some of the most common conveyancing terms. This tax is very similar to the local rates or community charge that you pay to the local authorities in your home country. All property owners, both resident and non-resident, have to pay the tax annually to the local administration that covers the area where the property is located. The tax can be paid by standing order from your Spanish bank account and this is probably the most convenient method if you are a non-resident since late payment will result in surcharges being added to your bill. Guarantee requested by the bank to approve a mortgage application. This tax is paid to your local authority to cover the costs of rubbish collection and disposal. It is paid twice a year and it is advisable for non-residents to arrange payment by standing order from a Spanish bank account. If your property is newly constructed your local town hall may not immediately bill you for the tax. Sometimes it can take up to a year for them to send you notification, at which point they will backdate your payment to the original purchase date. Document issued by JUNTA DE ANDALUCÍA authorising water & electricity connections. In addition to the Real Estate Tax (IBI) all property owners, resident and non-resident alike, have to pay a Spanish tax on their capital assets. However, the amount of tax you are liable for differs depending on whether you are resident or non-resident. As a non-resident you will be taxed on all your capital assets in Spain including money held in Spanish bank accounts, shares, cars or yachts as well as real estate. When assessing the value of your real estate the figure declared on the title deed (Escritura Pública) is used to calculate how much Capital Assets Tax you will have to pay. Certificate which is issued by an architect confirming that the building meets the design specifications. A property purchase reaches formal completion when the Sales Contract (Escritura de Compraventa) is signed by both the purchaser and the seller in the presence of a Notary Public (Notario). A Notary is a public official who certifies that contracts are legal by checking that all the formalities involved in the transaction have been complied with. At this point the agreed sum is paid and possession of the property is handed over to the buyer. In Spain you and your neighbours form a legal body that is known as the Comunidad de Propietarios, which is similar to the residents’ associations you may have dealt with in your home country. It is standard practice in Spain for this Reservation Contract to be accompanied by a sum of money which is paid by the buyer to demonstrate to the seller that there is a real intention to purchase. This money is known as a Reservation Deposit (Señal de Reserva) and usually amounts to between €3,000 and €12,000. Once this deposit has been paid, the property is taken off the market and the price is frozen for a specified period of time; usually about 30 days. 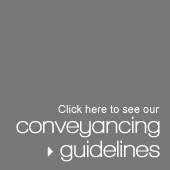 Once your estate agent and lawyer have discussed the purchasing terms and conditions with the seller and an agreement has been reached, the next step is to formalise this verbal understanding through a written contract. This document is known as the Reservation Contract (Contrato de Reserva) and should be signed by both you or your representative and the seller. Sometimes developers allow a temporary supply of water and electricity that is unreliable and could be dangerous. Some problems that may arise when using these connections as power cuts due to voltage. We do not recommend occupying the dwelling until these services are officially connected. You should also be aware that it could take some time, up to four weeks in many cases, for this to be carried out. The date of Inscription of Foreigners in a Municipal register, in spite of the fact that this does not constitute proof of legal residence in Spain, may be used as the start date for calculating the 183 actual days per year, which are necessary to achieve the condition of fiscal or usual residence, or at least the presumption of this on the part of the Spanish Administration. This date can also be used by the Traffic Agents may begin to calculate the term of six months since the start of usual residence, after which it is obligatory to change, or to register, a driving license needed in a European Community nation. In the same way, they calculate the period of thirty days after which a foreign-registered vehicle must be re-registered if the owner has his usual residence in Spain. It is the responsibility of an individual who is not usually resident in Spain to demonstrate this to the authorities. Flawed title deeds. Unable to get access to the Property Registry. It is a license to occupy the dwelling. It is a paper, which proves that the conditions of the building license (Licencia de Edificación) have been observed. The purpose of this license is to check that the building has been constructed in accordance with the building license and to ensure the applicant registers the property with the tax office. By Law, utilities cannot be connected without a first occupation license. This determines that the individual spends at least 183 actual days a year residing in Spain, or that the main nucleus or base of their economic activities or interests is in Spain. At the same time, it will be presumed, unless proved otherwise, that the contributor has their habitual residence in Spain and, in accordance to previous criteria, that any non-separated spouse or underage children dependant on the individual also have their habitual residence in Spain. The immediate effect of a lack of Fiscal Residence is the obligation on the part of a purchaser to retain and pay to the State Taxation Agency (Agencia Tributaria Estatal) 5% of the price of the sale of a property in taxes (either VAT (IVA) or ITP). In this specific case Fiscal Residence is not assumed, but rather it is the responsibility of the individual to demonstrate it in order to obtain a certificate, which proves this, thereby exonerating them from the tax. This tax is very similar to the local rates or community charge that you pay to the local authorities in your home country. All property owners, both resident and non-resident, have to pay the tax annually to the local administration that covers the area where the property is located. This tax is payable on inheritance of property by spouses, children or any other party who receives part of the deceased’s Spanish estate. Spanish law provides that property registered in joint names is deemed to be held on a 50-50 basis and therefore on the death of one partner the surviving spouse inherits the deceased spouse’s 50% share. ITC (Impuesto sobre Transmisiones Patrimoniales) is roughly equivalent to UK Stamp Duty and is levied at between 6% to 7% of the purchase price depending on the Autonomous Region (Comunidad Autónoma) involved. However, it should be noted that the above does not apply to newly built properties but just to privately owned or resale properties. The tax is paid by the buyer after the final exchange of contacts to the Tax Collection Agency (Agencia Tributaria). Value Added Tax (Impuesto sobre el Valor Añadido or IVA) and documentary stamp duty (Impuesto sobre Actos Jurídicos documentados or IAJD): These taxes do apply to newly built properties and are paid the first time a property is sold normally by the developer (comprador) of the property. The IVA rate is 7% of the selling price and the IAJD is fixed between the 0.5% and 1.5% of the selling price depending on the Autonomous Region (Comunidad Autónoma) involved. If a deposit is given before signing the Sales Deed (Escritura de Venta) a 7% IVA tax will apply. IVA and IAJD are paid directly by the seller to the Tax Collection Agency (Agencia Tributaria). A Central body that retains records of who owns the land, and under what conditions. The fees of the Property Registry for registering your Escritura in the Register will be assessed on a scale fee related to the Escritura value. As a rule of thumb, 80% of what the notary charges. These fees usually amount to about 1% of the purchase price + VAT, but your legal costs could increase if complications arise during the transaction. Your lawyer should be able to give you a detailed estimate of the costs that are likely to ensue from your particular case. It is a license to occupy the dwelling. It is a paper, which proves that the conditions of the building license (Licencia de Edificación) have been observed. The purpose of this license is to check that the building has been constructed in accordance with the building license and to ensure the applicant registers the property with the tax office. By Law, utilities cannot be connected without a First Occupation License. It is an informal way for your lawyer to sign the deeds on your behalf. 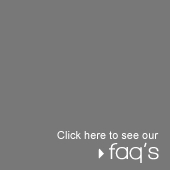 In this case, you will need to ratify the deeds as soon as possible after completion. This tax is paid to the local administration and is based on the increase in the value of the land since it was last sold. Logically, as the beneficiary of this increase in value, the seller usually takes charge of paying the Plusvalía. However, some Sales Contracts stipulate that the buyer is responsible for meeting this expense. This is an important issue during negotiations over the terms and conditions of the Sales Contract and it is essential to consult your lawyer before making any agreement on this point. If you finally agree to pay the Plusvalía you will find that it is based on the official value of the land, which is always lower than the actual market value. The tax is charged at between 10% and 40% of the annual increase in the value of the land. The exact percentage depends on a number of factors including the location of the property and the length of time between sales. Local authorities periodically carry out valuations of land and maintain up-to-date records in order to calculate Plusvalía charges. By law all foreigners who have assets in Spain must have an NIE. This is your reference number with the Spanish Inland Revenue and you need it to complete your annual Income Tax and Capital Gains Tax returns. It is also essential when you open a bank account, buy or sell property, apply for a loan or mortgage, or even take out an insurance policy. Spanish Notaries are now insisting that non-resident purchasers produce an NIE certificate before they will allow them to sign the completion contracts. If you do not have an NIE this can cause unexpected delays to completion at the last minute. Extract from the property register showing: - wether the property has debts - the current owner - the boundaries - the total square meters of the land ando f the house, if there is one. - How the land has been classified: rústico o urbano -	The rights that other may have on property, Duch as public paths/roads, water or sewage lines. A Notario is an official of the State who makes sure that the formalities associated with the purchase are properly complied with. He/She puts on record the fact that the title deed recording the sale/purchase… has been signed on his/her presence and understood by the parties concerned. This fee is fixed by an officially established scale which takes a number of different factors into account including the price of the property. The scale ranges from about €300 for lower priced properties to €1,500 for more expensive purchases. This formally allows another person (either your lawyer or somebody else that you trust) to sign on your behalf. You can have this document prepared while you are in Spain by making an appointment with the Notary who will oversee all the formalities. Alternatively, a power of attorney can be prepared by a Notary Public in your home country. This power of attorney will have to be legalised for use in Spain by having an Apostille certificate attached to it under the terms of the Hague Convention. A private purchase contract is essentially the same as contracts you will have signed as part of the transaction to buy property at home. It creates a binding agreement between you and the seller, establishes a completion date and sets out the terms and conditions of the sale. Some terms may not be explicitly mentioned in the contract because they are implied by the law governing transactions of this kind. The Private Purchase Contract is usually signed between two and four weeks after the Reservation Contract. This is a tax that must be paid by non-resident property owners every year. Resident owners who can prove that their property in Spain is also their principal residence are exempt. Non-residents are taxed on income received in Spain at a flat rate of 24% (25% until 31st December 2006). Where no actual income exists the Inland Revenue will impute an income usually based on 2% of the value of the property (valor catastral) which is registered at the Land Registry (Catastro). On new properties which have recently had their value revised, this is usually reduced to 1.1%. The Property Registry (Registro de la Propiedad) will also charge you a fee for entering your title deeds in the register. They use a scale that is related to the price stated in the title deed to assess the exact amount to be charged. This usually comes to about 80% of the fees you pay to the Notary. In addition to the Real Estate Tax the Spanish property owner, whether resident or not in Spain, will pay Spanish tax on capital assets. This tax affects residents and non-residents differently. As a non-resident it’s a tax on all your assets and property in Spain. These taxable assets include anything he owns, not just real estate (bank deposits, shares, automobiles, yachts or anything that can be considered wealth). It is just a process whereby you confirm the purchase and give an original signing for filing at the Land Registry. It has to be made at the Notary (in Spain or in your home country -In this case the document will also need to be legalized with the Hague Apostille-). Unless you have owned the property for more than 10 years as at the 31st December 1996, when you come to sell the property the buyers lawyer will retain 5% of the purchase monies and pay those to the Treasury of the Tax Office on account of your potential liability to Capital Gains tax. If your Capital Gains Tax liability amounts to less than the 5% retention you can, following completion, complete and submit tax form 212 within 90 days and request a refund of the excess. The refund should be made within 90 days of submission of the completed form. On the other hand, if your Capital Gains Tax amounts to more than 5%, you need to complete tax form 212 and submit this to the tax authorities with the extra payment within 30 days of the sale. Land of this type has connections to the public networks of drinking water, sewage, electricity,etc. The conditions regarding what type of construction can be done on this type of land depends on the regulations for each sector of the city. Land of this type may not be reclassified as suelo urbano. Construction is very restricted; normally, only buildings relating to agricultura and livestock are permited. A subclase called Suelo especialmente Protegido, Duch as Natural Parks has even more restrictive conditions. This land has the possibility of being reclassified as suelo urbano. For that to happen, a Plan Parcial must first be approved followed by the approval and execution of a proyecto de Urbanización. 7% of the purchase price; but when buying form the developer this is replaced by 7% IVA plus 1% Stamp Duty.